My name is Sarah Welle - I live in Longmont, CO and I'm an entrepreneur (I run a gifting company called Colorado Crafted that specializes in Colorado-made products). I'm writing to tell you about the time I spent a year cycling around the world for my honeymoon! It all started when, in my mid 20s, I got the book Miles from Nowhere as a gift. It's about a couple in the 70s who drops everything and rides their bikes around the world. I had never HEARD of such a thing, but I was completely captivated. Less than a year later, I got married to my longtime boyfriend and somehow convinced him that we should quit our cushy Microsoft jobs, sell everything we owned, and cycle around the world for a year as our unconventional honeymoon. I still can't believe I convinced him it was a good idea, but I did! 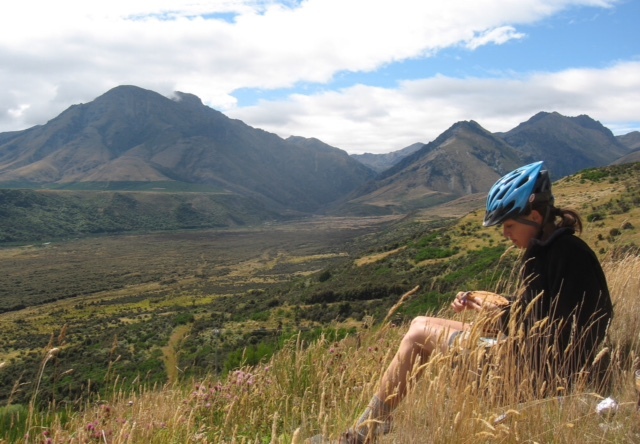 In 2007 we sold literally everything, packed up our bikes and camping gear, flew to New Zealand, and started cycling. I still remember the feeling of standing in a parking lot right before we left and just dropping my purse into a garbage can because I didn't need it anymore. How did you decide where to ride? We wanted to see SO much of the world. We started off with really ambitious plans, not really having any idea how fast we'd make any progress on our route. 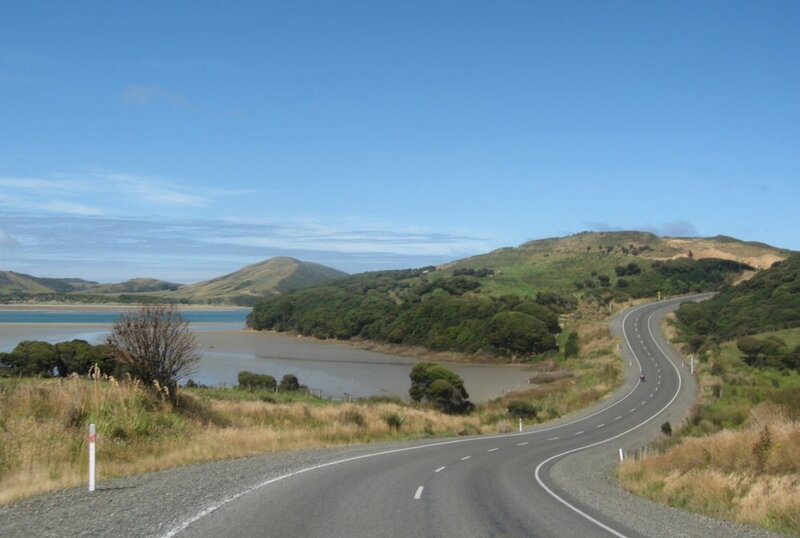 We decided to start with New Zealand because we wanted an "easy" country to start in - English speaking, cycle touring is popular there, lots of places to get spare parts in the case of a breakdown, etc. So that's where we started! From there we wanted to check out Southeast Asia, so we booked tickets to Singapore and cycled north through Thailand, Cambodia, Vietnam, and Laos. After that we didn't really have any concrete plans, but what ended up happening was a big crash in the jungles of Laos, forced skipping of China, and a change of plans that brought us to Eastern Europe where we cycled through Germany, Czech Republic, Poland, etc, etc -- finally ending our trip in Istanbul, Turkey! We'd considered flying to Argentina and riding south but after a year on the road we missed family and friends and were ready to end the big trip. What was the best part of traveling by bike? There were SO many things to love. We loved the quiet peacefulness of cycling through the countryside: we could hear birds singing, cows chewing grass, locals chatting and going about their business. It also gave us so many opportunities to meet people and really experience the local culture. When you're resting in the shade and eating a snack you'd be surprised how many kind invitations you get to join people for tea, etc. We were overwhelmed by the general goodness of humanity, which was wonderful. We also loved seeing the landscape slowly change as we cycled across whole countries, and it was a treat to actually see the sunrise and sunset every single day for a whole year. How did you experience the cycling-motorist relationship in different countries? This was fascinating to experience - there was a huge range in this relationship. In more third-world countries, where cars are less common, cars and trucks on the road were perfectly accustomed to sharing the road with cyclists (and walkers and mopeds and cows)! We felt very safe cycling in countries like Thailand and Laos. In some Eastern European countries - Serbia stands out in my mind - car owners were unbelievably aggressive and frightening at times. We learned to take back roads as much as possible, as well as avoid riding through major cities, and that did a lot to make day to day cycling more fun. We kept a blog along the way which is super outdated looking at this point, but the stories are still there! It's at erck.org.